When November rolls around we all start think about the things we’re thankful for. Of late, I’ve been thinking a lot about the relationships that I’ve been lucky enough to build with fellow sewists and sewing bloggers. 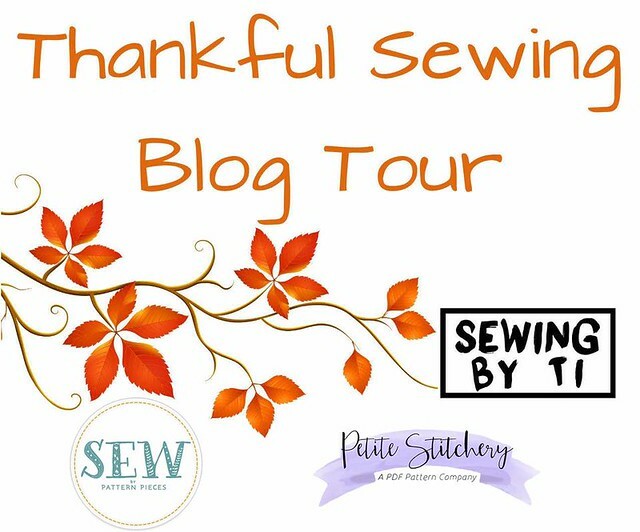 Our Thankful Sewing Bloggers are creating something special to share with you to celebrate this month of Thanksgivings! As an extra special surprise, we also have a couple giveaways during each week of the tour. Many thanks to Petite Stitchery who has a new pattern to share with us; a free pattern giveaway from Sew by Pattern Pieces; and a chance to win a shop credit each week from Simply by Ti! Simply by Ti is giving away a $20 shop credit each week! 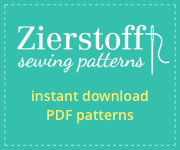 And this week only … Sewn by Pattern Pieces will also be giving away a pattern.